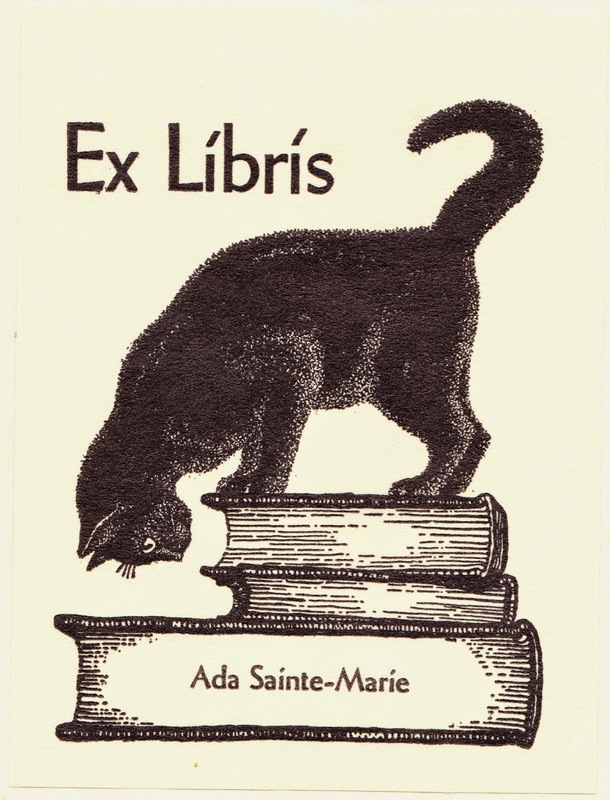 Lew Jaffe's Confessions of a Bookplate Junkie website is still going strong, and you should definitely check it out if you're interested in browsing through more bookplates. Beware, though, that you might lose yourself in there for an hour or more. 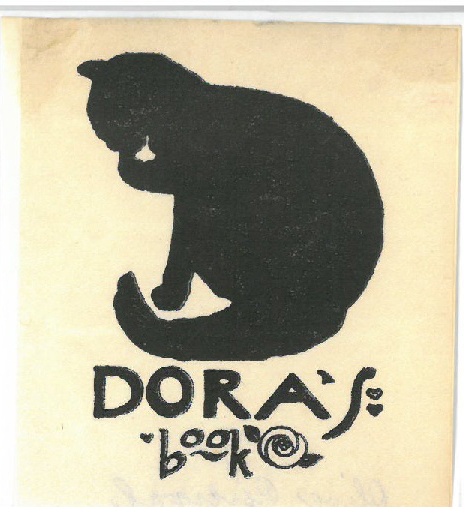 It's jam-packed with great vintage bookplates and information. Here's a different black cat that was featured recently. One of these days, I'd like to have custom bookplates made for the volumes that I intend to keep permanently in my library. They are, of course, something that you cannot do with an e-book. 1. 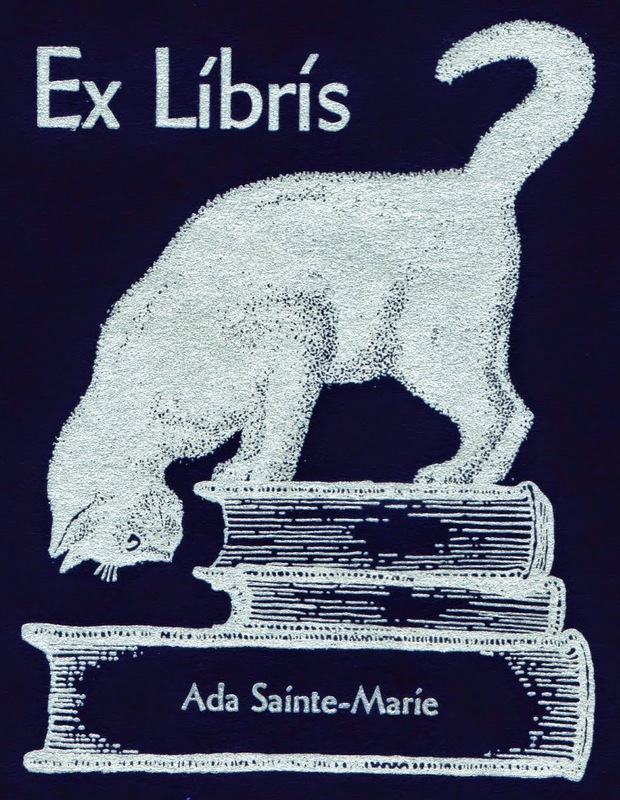 Given that she loved white cats, it's a bit ironic that her bookplate features a black cat. With a little photo manipulation, however, we can fix that. I think she would approve.